Wellness Program with a dedicated Wellness Host leading various exercise classes as well as discussions on healthy eating and relaxation techniques, both on board and on shore. With a design inspired by classic ocean yachts, the new 156-passenger AmaViola (2016) offers a luxurious cruise experience on Europe’s most legendary rivers. This beautiful ship offers innovative features including connecting staterooms and triples that accommodate multi-generational families and groups. Guests will also enjoy the comfort of AmaWaterways’ signature twin balconies, hair styling and massage services, multiple dining venues, intimate wine rooms, fitness rooms and heated sun deck swimming pools with swim-up bars. The Chef’s Table serves as an intimate dining alternative to the main restaurant. It features a view of the chef as he prepares a true tasting menu with three appetizers, a champagne sorbet intermezzo, three main courses and three decadent desserts, serving up a variety of regional specialties and traditional dishes with more choices and flavors than ever before. 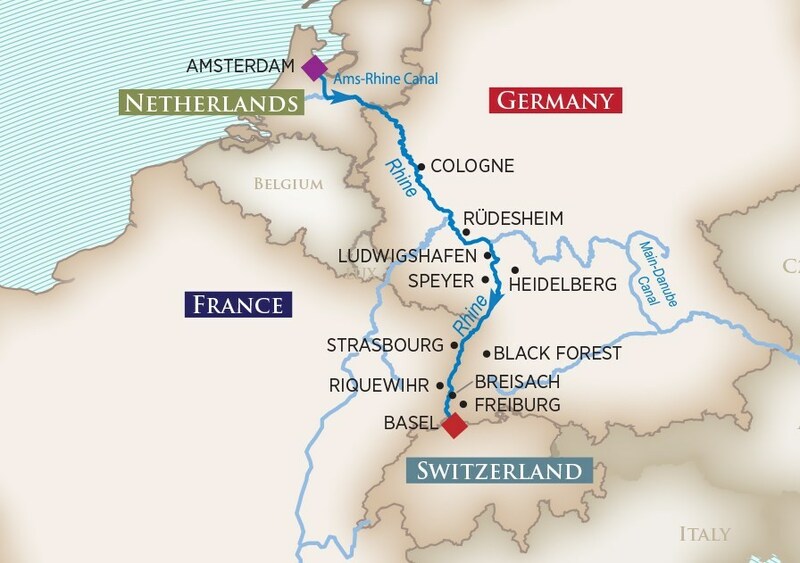 AmaWaterways, we love what we do — providing our guests with the best travel experiences possible. In fact, “Ama” is derived from the Latin word for “love.” It is a concept that permeates every aspect of our river cruises, from the design of our ships to the development of our itineraries to the high levels of service we deliver to our guests. It is a philosophy that drives our attention to detail, constant innovation and culture of always making our guests our top priority. It is the reason our guests all have a story about why it was the best cruise they’ve ever taken. When you sail with AmaWaterways, you will experience the luxury of more – more ways to discover, more ways to indulge and more onboard amenities. With an award-winning fleet, critically acclaimed dining and unique tour options, you will have the trip of a lifetime on our cruises.